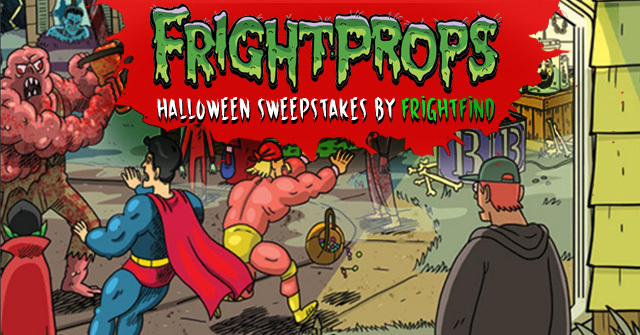 Thanks to the thousands of people who entered the FrightProps Halloween Sweepstakes. Crystall Marie Howell was randomly selected to win FrightProps prize pack. Congratulations! 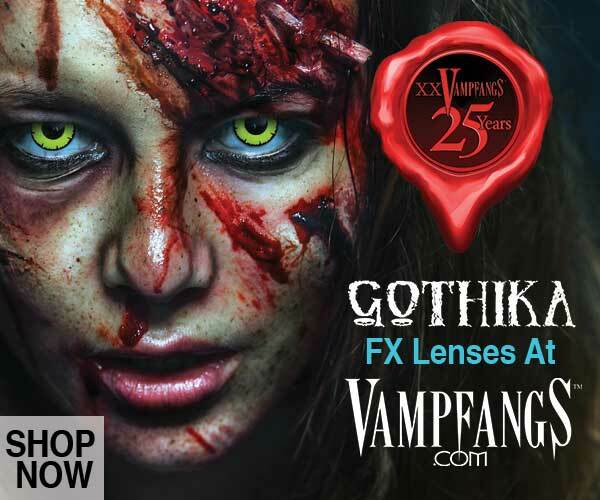 Win over $725 in Halloween Props and Accessories from FrightProps courtesy of FrightFind! Win the entire FrightProps Prize pack including a $200 FrightProps gift card, 4 Flash Crackers, a Brain Beanie, a Trick Or Treat – Severed Head Bag, a Bucket of Poo, a Torso Prop, a Skinned Fox, and a ColorPiano Light! Valued at over $725 in Halloween & haunted house accessories, this is a must have for any home haunter or Halloween enthusiast. Details on entry and prizes below. Go to Facebook and share, like, or comment on the below post. For every action you take, you get an entry. 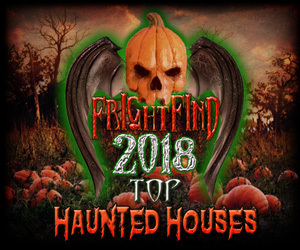 On October 9th, 2018, FrightFind will randomly select and notify the winner. This contest winner will take home the following FrightProps Prize Pack. Only 1 prize will be awarded at random on October 9th, 2018. A $200 gift certificate to the FrightProps website. 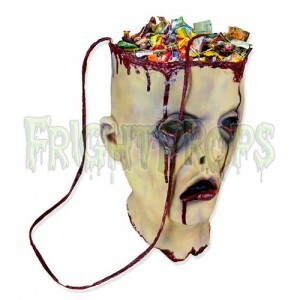 Not only did you win a ton of outrageously horrific prizes, but you can top it all off with a shopping spree at FrightProps.com! A series of loud, crackling sounds. Extremely loud and startling. Cracker activates when electricity is applied. Operates from standard household 110vAC. Can be controlled with any of our BooBox or PicoBoo controllers. 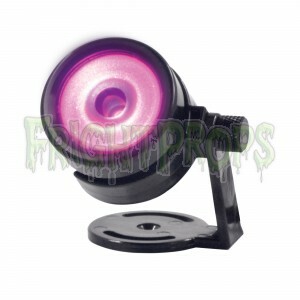 Also can be inexpensively activated using our Motion Sensor with Timer. This small metal bucket of excrement is a perfect accent piece for your haunted decor! Each one is individually handmade and no two are exactly alike. Life-sized, foam filled latex torso is expertly sculpted and hand detailed for maximum gross-outs! Flat on the back for easy display on a wall, table, or butcher rack! Measures about 16″ wide 26″ tall” 6″ thick. An innovative new lighting fixture you can control right from your smartphone or tablet! Includes light, power supply, programming wire, and push-button trigger! Face the harsh nuclear winter in style with this fashionable FrightProps beanie! 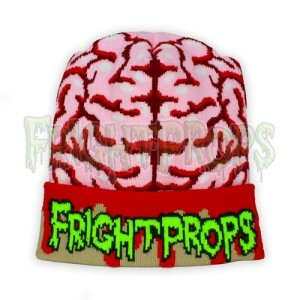 High quality knit beanie features bloody brains design and bright FrightProps logo! The skinned body hangs, dripping blood into a steadily growing pool on the tiled floor. Its muscles gleam red in the fluorescent light, it’s lifeless eyes glare downwards, deflated veins drool forth their final drops. 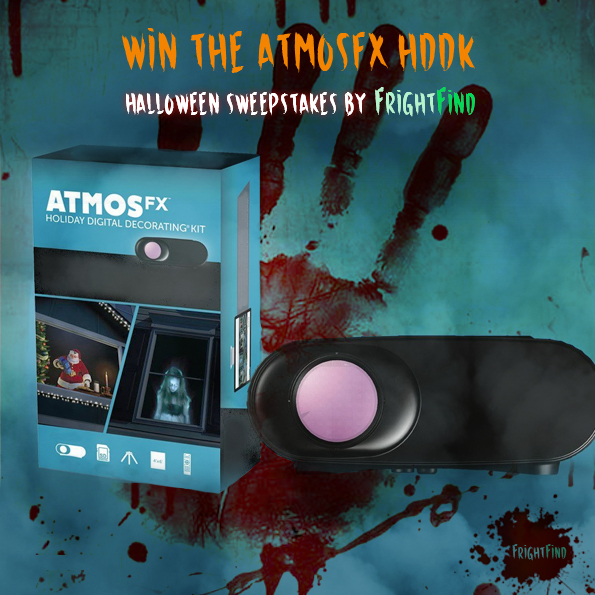 Read the full FrightFind FrightProps Prize Pack Terms and Conditions. 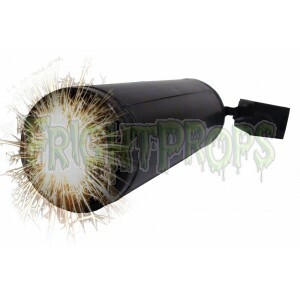 For more information on FrightProps and their products check out Frightprops.com. The props look so cool. thats a lot of great prizes !! I love all of FrightProps merchandise. All the details in their props are second to none. Great looking prizes would make a wonderful addition to my display. I love Halloween, and I love the Halloween items that are being given away! The $200.00 card would be enough for me ! All this stuff looks absolutely AWESOME! It would be a dream come true. 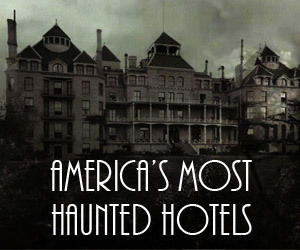 If i win i would give it to my Daughter and grandchildren they are Halloween Freaks. And it would certainly put me in there good graces. I only decorate for one holiday – and that’s Halloween! This would be an AWESOME addition to my decorations in the front yard (yeah, I start early) lol! These prizes would diffidently be used in our Halloween Light Show!!! Thanks for the opportunity! Happy Halloween to everyone!!! Very cool. My props could definitely use some updating this Halloween. I would be a hero to my grandson if I would win this for his Dad’s Halloween display. Please count me in. Thanks. Love the props, they are terrific! Would love to own any of these. You guys have awesome items!